Tylissos Beach Hotel * * * * is situated on the Ierapetra clear sandy beach, the crystal seawaters of Libyan sea, few minutes walk from downtown, the popular market, the City Hospital, the bus station, the shopping center of the city and the seaport for ships, daily cruises to CHRISI Island. 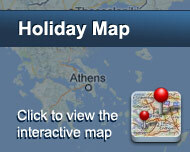 We offer Friendly Hospitality and services, respecting the personality of all our Quests. You are welcome any time for holidays or business for an unforgettable happy stay enjoying our main bar and pool bar, swimming pools, specialties of our restaurant, the umbrellas and sun beds of our beach and pool. Units Categories and their equipment. 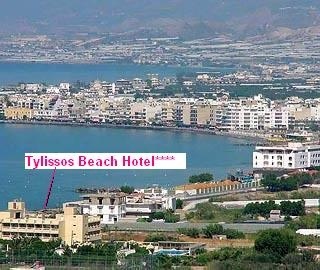 TYLISSOS BEACH HOTEL owns 70 units, with front sea view, side sea view, pools view and garden view. All the rooms have a balcony. All units are equipped with Telephone, Satellite color TV, Refrigerator-Mini Bar, Electronic Safe box, Air condition, Hot air hair dryer, ecology systems save energy and orthopedic beds. To TYLISSOS BEACH HOTEL owns sandy beach with umbrellas and sun beds. 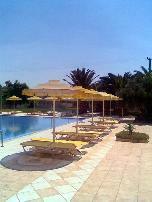 Adult’s swimming pool with umbrellas and sun beds. Children swimming pool. Pool’s Snack bar. 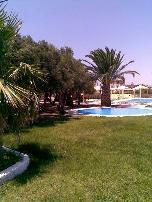 Grass and Gardens, Restaurant, Main bar- cafeteria, Beach Volley, Parking and Garaz. After Guest request could be arranged also baby sitter, secretarial services and much more services on request..
Facilities: Directly on the seaside, Buffet-style breakfast, Half-board, Full-board, All Inclusive, Own restaurant, Bar, International cuisine, Regional specialties, Vegetarian cuisine, Friendly with families, Safe, Parking lot, Bus parking lot, Luxury suite, Standard room, Single room, Double room, TV set, Telephone, Internet connexion, Mini bar, Non-smoking areas, Air condition, Fax for guests, Open fire-place, Guide for the mountains, Bikes for rent, Boats for rent, Swimming-pool, Dancing evenings, Open air. Είστε ιδιοκτήτης ή διευθυντής στο TYLISSOS BEACH HOTEL; Εγγραφείτε τώρα για δωρεάν εργαλεία, που μπορείτε να χρησιμοποιήσετε για να βελτιώσετε την καταχώρησή σας και να συνδέσετε την ιστοσελίδα σας και το σύστημα κρατήσεών σας.